MID CENTURY NEW CONSTRUCTION. MODERN AND STUNNING CONTEMPORARY HOME IS A ENTERTAINERS DREAM. DRAMATIC OPEN FLOOR PLAN BOASTS VAULTED CEILING IN LIVING AND DINING ROOM. ALL NEW HURRICANE WINDOWS AND DOORS. NEW KITCHEN WITH QUARTZ COUNTERS, ALL WOOD CABINETS, RECESSED LIGHTING, S/S APPLIANCES, 5 TON TRANE A/C WITH NEW DUCTS, GAS FIREPLACE, PORCELAIN FLOORS, ALL NEW WIRING TO THE POLE, EXPANDED BATHROOMS WITH FRAME LESS SHOWERS, TRUE MASTER BEDROOM OVER LOOKING POOL AND RIVER, CUSTOM REACH IN CLOSET. HUGE FINISHED LAUNDRY ROOM WITH WOOD CABINETS AND EXTRA STORAGE ROOM. OVER SIZED POOL WITH EXPANSIVE MARBLE DECK AND DOCK. MARBLE CIRCULAR DRIVEWAY AND SHED. THIS HOME HAS IT ALL. MUST SEE. Best point lot with ~160' on the south fork of the Middle River, only 2 fixed bridges to the Ocean! This loved home has 2 masters (split floor plan) - both with views of the water and access to the pool. All bedrooms have generous walk-in closets. Kitchen and Living areas are open (gorgeous vaulted ceiling) with views of the pool and River. Home has 3 bedrooms, 3 bathrooms, and a 2 car garage - over 2,900sf in total. Wonderful covered outdoor patio with bar, pool, and Tiki hut built over the water.... so breezy and relaxing! Check the aerial map views to confirm this wide section of the waterway. This home is ready to become your masterpiece! 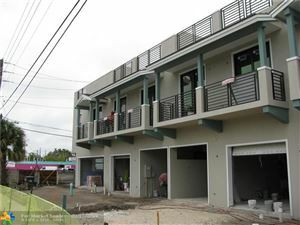 Wilton Manors- 3 Bedrooms/ 2.5 Baths. Villas on the Drive Townhomes are situated just steps away from iconic Wilton Drive, the cityGÇÖs arts & entertainment district. The bold & distinctive architecture is designed to capture both the sunrise & sunsets, which can be viewed from your own private roof top terrace. 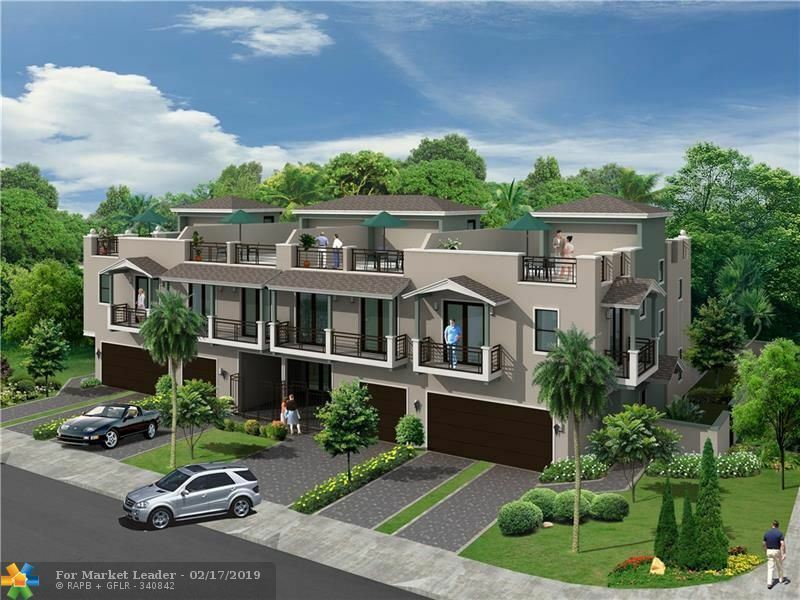 The Villas three-story designs range in size from approx. 3,572 to 3,611 total sq ft & the luxurious appointments include: private elevators, porcelain flooring, quartz counters, & GE Profile stainless steel appliances. Completion Date is expected in April of 2019. 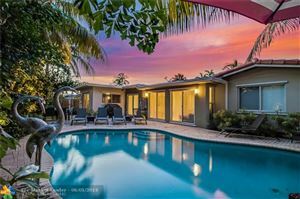 Sleek and handsome waterfront home in NE Wilton Manors. Open Kitchen with quartz counter top, porcelain floors, recessed lighting, Family room with electric shades. Three bedrooms, with the master on the back/pool side. Pool deck with attractive Travertine pavers. Pool is a salt system and heated with propane. BBQ also on propane. Rainsoft water filtration system for the whole house and infra red air purification on the A/C system. All impact windows and doors, S-tile roof. Indoor laundry room, one car carport. Two fixed bridges to the Intracoastal waterway. Lush landscaping creates privacy yet waterfront access, wonderful outdoor living and entertaining spaces. Must see this attractive home, feels welcoming and bright! Beautiful 2 Bed / 2 Bath East Wilton Waterfront Private Fenced Compound. Enjoy 63' feet of southern exposure on a wide section of the south fork of the Middle River. Oversized lot has low maintenance professional landscaping and a large pool. Large Bedrooms w/ split plan, Master has large bath and walk in closet. Updated Kitchen w/ granite & stainless appls and updated baths w/ new flooring & vanities. Great layout w/ large bedrooms and open plan living spaces with water views perfect for entertaining. New AC/duct work, tile flooring, tankless water heater, 2" Blinds, electric awning, and 1 car garage. You can't beat this location on a small 4 home cul de sac.. walking distance to Colohatchee Park & Storks Bakery! AMAZING, COMPLETE RENOVATION from the cinder block all the way in! !...Every conceivable attention to detail has been paid on this Beautiful, Remodeled Waterfront "Smart" Home. Open Concept Floor Plan perfect for Entertaining. Stunning Designer Kitchen & 3 Baths with All New Cabinetry, Fixtures & Finishes. Impact Doors & Windows throughout. Re-wired to code, even the Sewer Line under the home has been replaced. Custom Recessed Lighting & Fixtures. Instantaneous On Demand Water Heater. New Paint In & Out. New Paver Driveway. New HE Washer/Dryer & All Stainless Steel Appliances including Dual Ovens & Dishwashers. New Custom Fencing and Solar Lighting. Over-sized Shaded Lot. Gated R/V - Boat Parking. Plenty of room for a pool. Highly sought after Wilton Manors Neighborhood. Bright & airy mid-century modern exemplar. Quartz counters, stainless appliances, washer/dryer. 2 car garage. Beautifully landscaped. 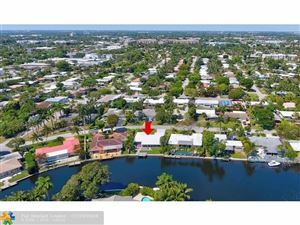 Situated on tranquil, wide and curved stretch of the Middle River with vistas from private backyard oasis w/private dock. River has access to the Intracoastal and ocean. Hot tub, beautiful landscaping. 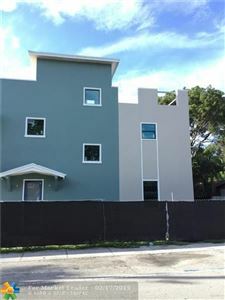 Amazing Wilton Manors location. Waterfront views from the minute you open the front door! All impact windows and doors, including garage door. Split bedroom floor plan - master on one side with impact sliding doors out to the patio & dock area. One car garage with extra storage room/workshop & laundry room, tankless water heater. Trane A/C system new in 2010. Barrel tile roof new in 1996. Paver circular driveway. Room for a pool. Dock with 10,000 lb boat lift. Electrical hook up on side of house for RV, boat, or car. 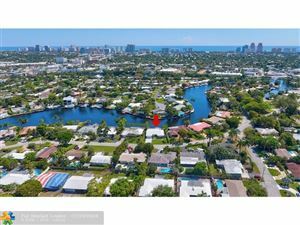 Best waterfront neighborhood with only 2 fixed bridges to the Intracoastal. Nice and bright home! 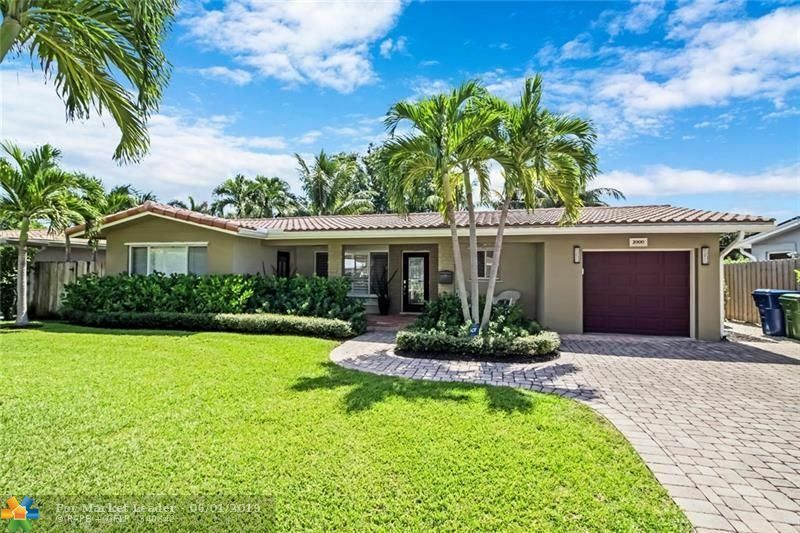 Feast your eyes on this truly one of a kind South Florida 4/3 home! A Mid-Century modern classic design by famed architect Dan Duckham. The GÇ£Kraus HouseGÇ¥ is the ultimate entertainment home nestled in the heart of Wilton Manors. From the moment you walk into the courtyard, you can appreciate the landscape, the floor to ceiling windows, and the large open floor plan that allows you to transition from the kitchen to the living room to the dining room to the family roomGÇª You will truly be the envy of your friends when you tell them your new home has been featured in the hit tv show GÇ£GracelandGÇ¥ as well as several design magazines and local media outlets. This isnGÇÖt just a home, it is a piece of art and a little piece of South Florida architectural history! Beautiful, private, completely renovated home , located in the heart of Wilton Manors. Ready for you to call home. Open floor plan with 3 large bedrooms 2 baths offers view of backyard from almost every room. High impact windows & doors, irrigation, pave driveway, outdoor space and landscaping. New roof, new electric, plumbing, new stucco, Kitchen remodeled with all new stainless steel appliances. This house is Move in ready and ready for your pool, to create your back yard paradise. Sold fully furnished. Watch the epic video linked for details about this home and surrounding area attractions. Complete renovation with redesigned open floor plan. High impact glass windows & doors. Fl room raised to grade elevation. Heated salt water pool, covered BBQ dining area, professionally maintained gardens, well sprinkler with water treatment system and landscape lighting. Large 20x18 master bedroom suite with oversized shower with dual shower heads & instant hot water. 2 carports and circular drive. Currently licensed and registered Homeway/VRBO vacation rental with state county and city since 2012. Existing Manager available allowing for immediate established income. 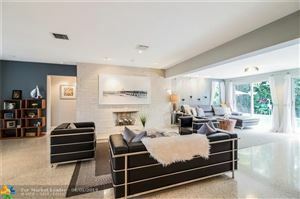 Wonderful Mid Century home in HOT Wilton Manors. 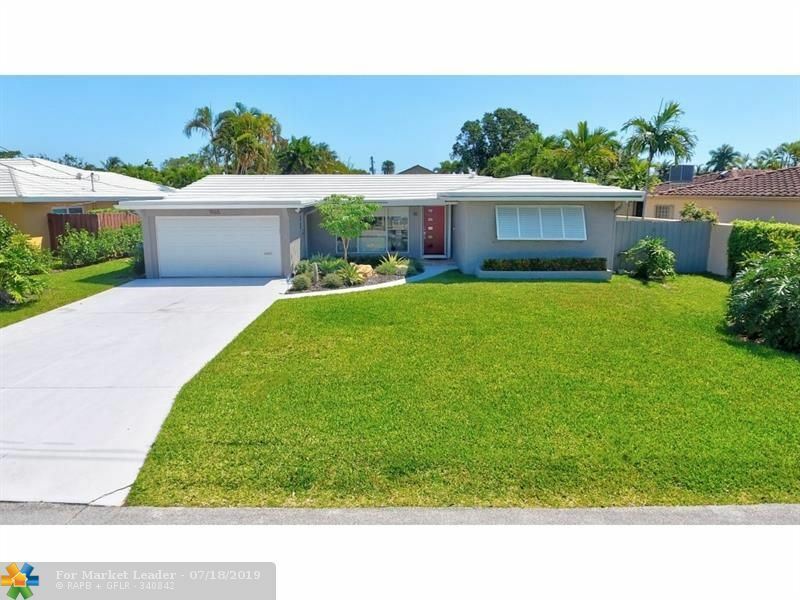 Perfect layout w/ 2 full master suites on each side of the home, large open living area with fireplace, Florida room, beautiful terrazzo floors, and large bright picture window / sliders & French doors to the back yard. Renovated kitchen w/ granite & stainless appliances. Private resort style back yard with heated pool, dining area, shower, extensive outdoor lighting and professionally planned landscaping. All this... plus that rare hard to find garage the hasn't been converted! Call to take a look today. VERY SPACIOUS UPDATED POOL HOME with 4 bedrooms, 2 full baths, and a HUGE Great Room with a wood burning fireplace! Great flow with 3 bedrooms + 1 bath on the North side, & the private Master Suite on South side. The front door opens to the central Formal Dining Room, Kitchen, and the Great Room, which has French Doors out to the privacy fenced yard, patio & pool area. A large covered/screened porch adjoins both the Great Room, Master Bedroom, & pool area, adding lots more living space! 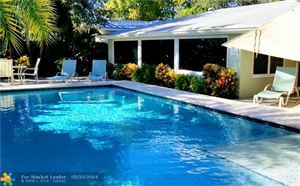 The full 2 CAR garage w/laundry, circular paver drive, & wide front porch make this the perfect family home or place for large scale entertaining, all on a very quiet secluded street in desirable West Wilton Manors. 24 HR. NOTICE requested for showings, Owner/Family occupied.